A light and fruity malt body makes her an irresistible thirst quencher that is low in bitterness and big on wow. Great with food, a beauty on her own – this is one refreshing bit of craft. Apprearance: Strawyellow to golden with a touch of wheat that gives it a mild hazy character. Taste: Silky smooth on the pallet with intense tones of citrus and orange. Wheat malt and Belgian yeast give fruity sweet tones balanced by fresh citrus and grapefruit. A refreshing beer with low bitterness and big flavor. Austmann was built on more than just blood, sweat and beer. Three old ladies also put their homes on the line to help raise the start capital. After all, no one loves a son like a mother. This one ́s for you mom. Apprearance: Light golden with white foam head. Taste: Fruity and malty tones with a touch of sweetness. Lightly spiced from the belgian yeast strain with a dry and fruity finish. Very easy drinking. Aroma: Biscuits and bready tones. Belgian spiced notes from the yeast and a gentle fruity aroma. Utpå (oot-pawh) is a crisp wheat beer with a bite of zesty orange peel and fresh cracked coriander. This is our tribute to lazy weekends and all things summer. Spices: Fresh cracked coriander seed and orange peel. Apprearance: Hazy golden with white foam head. Medium head retention. Taste: Mild citrus tones from the coriander seed, ripe oranges, gentle malt sweetness from the wheat malt. Dry finish. Aroma: Lime, lemon, spicy Belgian yeast tones, mild bready tones from the malt. Our second favourite beverage is coffee. Our second favourite hangout is Jacobsen og Svart Coffee Roasters. Together we have created a roasted, malty beer with all the caffeine kick of your morning cup of Joe. Throw a few in your backpack, head out and enjoy this bit of awesome on your next great adventure. Hop-bursted, dry-hopped and bottled for freshness, this sessionable IPA won’t be lost in the woods. Enjoy this bit of awesome on your next great adventure. Taste: Ripe oranges and zesty citrus with mild malt tones. A refreshing thirst quencher which finishes dry with an aftertaste of fresh citrus and bittering from the late hop addition. Aroma: Grapefruit, flowers, and ripe citrusfruits. Pilsner has evolved. We’ve taken a well-known work horse and added hops. A lot of hops. Crisp, clean and golden, this ambitiously dry hopped lager left old school pilsner at the station, did his wife, stole his bible and made him thank him for it. Apprearance: Golden and appetizing to the eye. Clear white foam head. Taste: Crisp and clean with a touch of light bready tones. This beer finishes dry on the pallet and generous hop addition gives it a fruity finish with low bitterness. Robust, down to earth, and solid - Northie is a malty, no fuss, cut the crap, ‘take my money’ brown ale. Inspired by tradition, brewed the way we like it. Apprearance: Dark brown to black. Beige foam head with a medium to firm hold. Taste: Roasted tones of coffee and dark chocolate with mild toffee notes from the malt. A hint of burnt caramel. Dry finish with a medium body. Aroma: Hazelnuts, dark chocolate, coffee, hint of earthy notes. 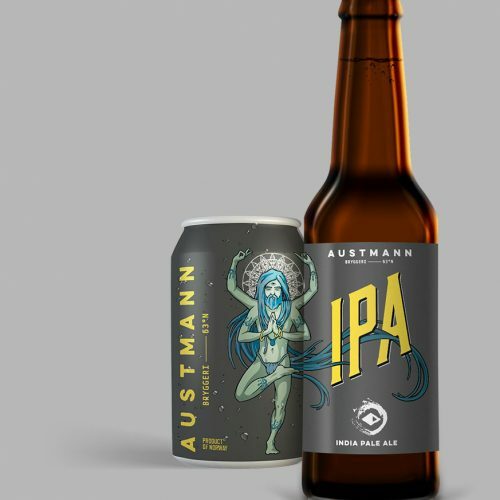 Just the right juicy, Austmann ́s India Pale Ale is so much more than a bitter bomb. We ́ve balanced the bite of an early hop addition with the tropical punch of fruity aroma hops. Best enjoyed fresh. Apprearance: Light bronze in color, off-white firm foam head. Taste: Delicious notes of tropical fruit and lychee with touch of grapefruit and citrus. Clear and defined bitterness. Aroma: Grapefruit, floral notes, tropical fruits. Hidden behind a veil of malt sweetness, Cocoa Crimson will surprise you with her chocolate and cherry finish. She may look frail, but she can punch above her weight. Watch out for what lurks behind you. Apprearance: Dark brown to black in colour. Brown foam head. Taste: Medium malt sweetness, cherries, roasted malts and a hint of coffee. A gentle touch of chocolate. Aroma: Cocoa, coffee, acidic red berries, cherries. 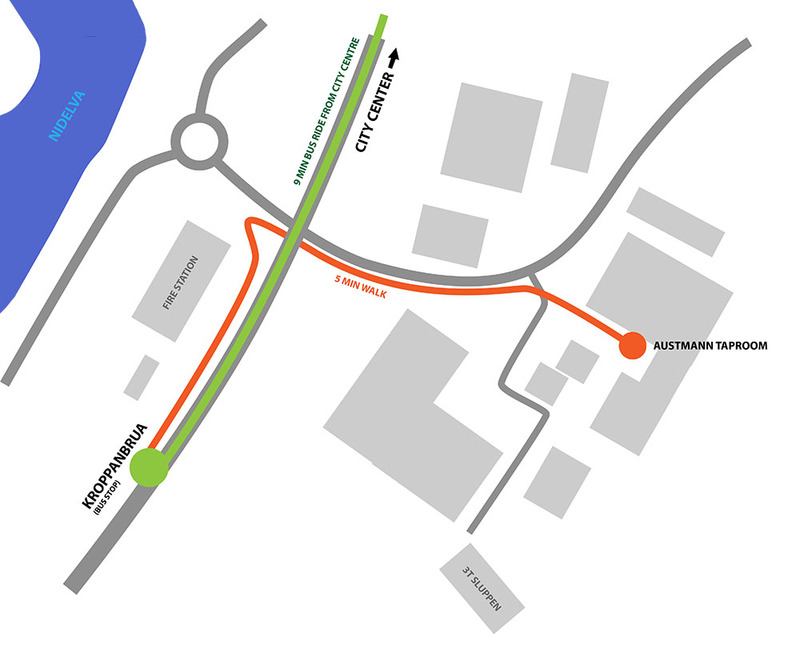 Austmann was founded in 2012 by Vinko, Anders and Thomas in an old warehouse by the fjord’s edge in Trondheim, Norway. With limited resources and a big idea, the three founders refinanced the homes of two mothers and one aunt. Backed by freshly borrowed money, a business plan and a little help from their friends, a 9hl brewhouse was built out of recycled dairy equipment and repurposed pumps. The first batch was brewed on July 2nd, 2013. In the first six months of 2014 Austmann won a record number of tenders in the Norwegian wine-monopoly system. 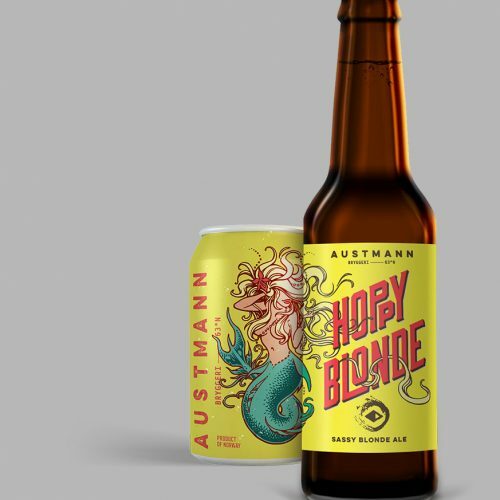 These beer releases generated a stream of media attention and launched Austmann into national awareness. Broad distribution through the wine-monopoly made Austmann available throughout Norway. By 2015 the little brewery made of reclaimed dairy equipment was pushing max capacity and the need for further expansion became apparent. This time the investment requirements pushed the envelope of what was possible to borrow by refinancing family homes….the ‘founding mom’s’ politely declined. 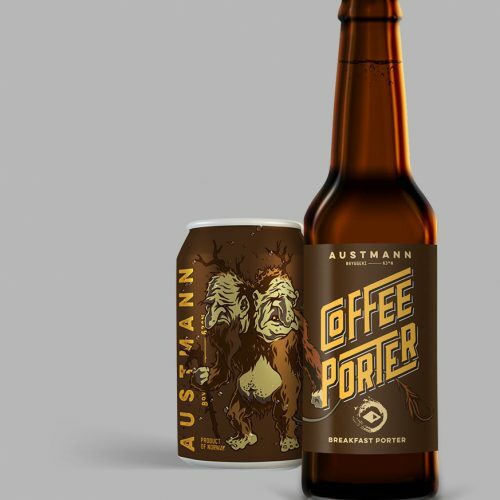 At the same time Austmann made a push into Germany and the Netherlands while participation in international beer festivals across Europe brought the Austmann name to the European craft beer scene. Export volume had begun. The staff grew from the three founders to 8 employees. With the brewery now bursting at the seams the search for an investment partner grew even more intense. 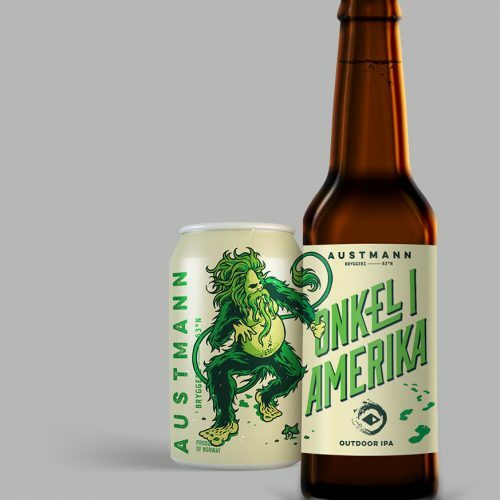 After exploring, negotiating and declining many possibilities Austmann finally found a solid and strong ally in Hansa Borg – a Norwegian family owned strategic brewing partner. In January of 2016 Hansa Borg came on board with a 50 % equity stake in Austmann. This gave the brewery breathing room, the ability to increase production, press the envelope in innovation and improve quality control and internal routines. Austmann gained access to Borg Bryggeri in the south of Norway where our head brewer, Anders, now produces our core range on an ISO 22000 certified brewery. 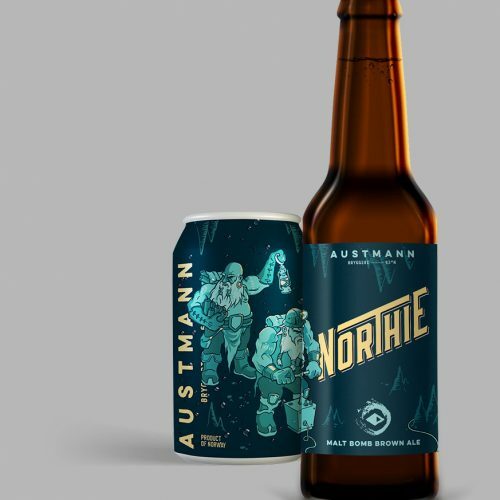 Throughout the rest of 2016 Austmann grew its market share in both Norwegian off-trade and on-trade, quickly becoming one of the leading brands in Norwegian craft beer with heavy national distribution. New export markets began to open with Spain and Finland taking center stage. 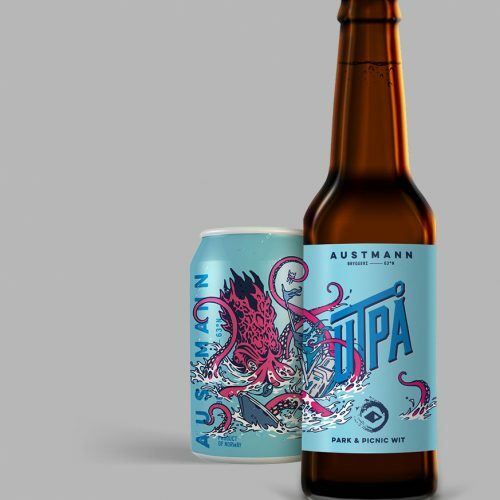 In the second half of 2016 Austmann launched its new line of cans for Norwegian on-trade; they were an overnight success. No other craft brewery in Norway has experienced such rapid on-trade growth since. 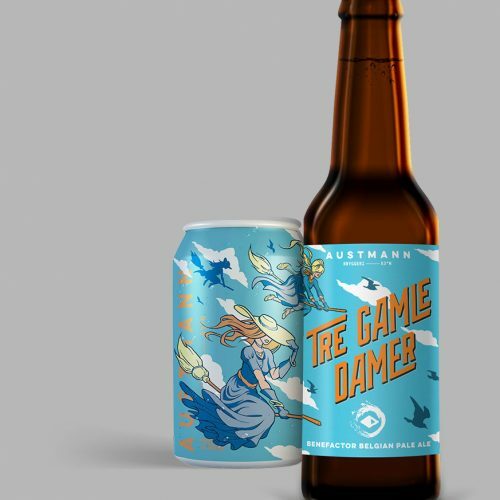 Austmann has appeared at beer festivals and events in Canada, Spain, the Netherlands, Belgium, Denmark, Sweden, the UK, Germany, Latvia, Ukraine and all across Norway. 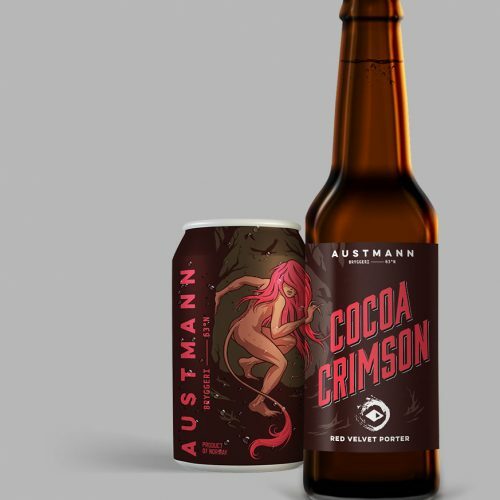 Currently a growth leader in Norwegian on-trade, Austmann is one of the best selling craft beer brands in Norway. 2017 marked a turning point as the search for a new home became a top priority. The small, home made production facility at the waters edge just wasn’t sufficient and Austmann needed a new place to live for the long term. At the end of 2017 the decision was made to move to the up-and coming area of Sluppen, just south of the Trondheim city center. 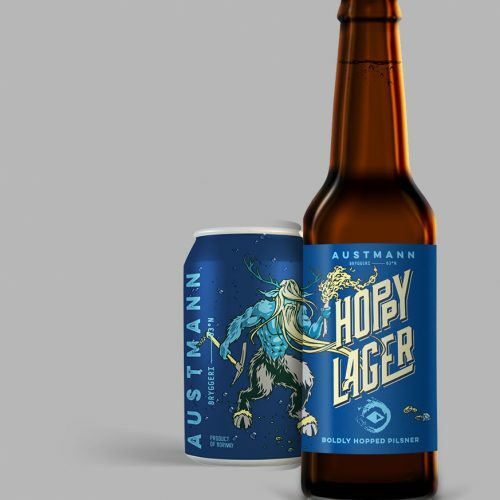 In August of 2018 Austmann completed the construction of their brand new brewhouse – a modern 30hl system – complete with lab, new packaging equipment and most importantly – the Austmann Taproom. The Austmann Brewery and Taproom are open for visitors Tuesdays through Fridays from 15:00 and on Saturdays from 18:00.